I Ching Question: Why is Heaven Cold and the World Warm? I am often asked questions regarding the I Ching, about specific hexagrams, and sometimes also the trigrams. This has been particularly true since the publication of The Magician's I Ching or the creation of the popular Facebook Group related to it. One I have been asked more than once is on the subject of the various attributes of the Trigrams. And of these, maybe one of the most common questions is why it is that the Heaven trigram is called 'cold', while the World is called 'hot'. Westerners I think tend to imagine Heaven, being masculine, is warm; and Earth, feminine, is cold. But in the traditional attributions of the Trigrams, it is very clearly laid out: Heaven is 'light' and 'cold', while Earth (being womb-like) is 'dark' and 'warm'. If you imagine Heaven, think of it as the highest greatest peak, the extreme of space. It thrusts outward, far and high. It is shining with light. But it is exposed, out there. The highest peaks are cold. On the other hand, imagine the World as deep, receptive, it is as low as possible, it is the ground and under the ground. It is dark like a cave, or like a womb. And in these depths is found warmth. This also has to be understood in the context of the other two Celestial Trigrams: Sun and Moon. Sun is fire, bright and hot. Moon is water, dark and cold. Thus, you can see how the four celestial elements balance each other out: two are bright, two are dark. Two are warm, two are cold. While Zhuge Liang did not follow the same teachings as the Yi Fa descends from, he was a true master of the I Ching. Liang was a famous general and prime-minister during the period in Chinese history known as the "Three Kingdoms" period, after the fall of the Han dynasty, when China split into three warring states in the early part of the 3rd century AD. He was the Prime Minister of the state of Shu, one of the three Kingdoms. He was also famed as one of the greatest strategists of all Chinese history, comparable to Sun Tzu (who is more famous in the west). In the stories relating to the wars between the three kingdoms, there is a famous account of Zhuge Liang making use of the power of the I Ching in magick to confound his enemies. In of the many military campaigns, Liang's King, Liu Bei, was defeated in battle against an enemy general. His army retreated toward a famous temple-complex called Baidicheng, where Zhuge Liang was waiting. While the troops escaped, Liang arranged a set of stones into 64 piles, of about 5ft in height each. The pattern he arranged them in was corresponding to the arrangement of the eight trigrams of the I Ching. When the enemy general arrived, he felt the presence of heavy Qi in the area. He suspected a trap but saw only the strange field of stones. He chose to enter it with his men, thinking it some kind of cheap trick. But once they'd entered, they suddenly found that the stones seemed like vast mountains. The mists of the temple seemed like a storm of cloud and dust. The men were soon totally bewildered, like in a maze. They would have perished there, had it not been for an old man who appeared in the maze, Liang's father-in-law. He guided the general and his men out, explaining that Liang had created the maze with his understanding of the eight trigrams and the mysteries of the elements, and that only through understanding could one make one's way through it. The enemy general, realizing that Zhuge Liang's superior wisdom was unbeatable, chose to halt and turn back from his invasion of the Shu kingdom. This story is meant to be allegorical, about the maze-like qualities of the contemplation of nature and the eight trigrams and 64 hexagrams, and the gifts that it's contemplation can provide. However, it is also not solely allegory. The Stone Maze was a real place, found at Baidicheng, where remnants of it had survived all the way until modern times, and had been visible until the area was flooded by the construction of the Three Gorges Dam. Virtue ("De"), in the context of the Yi Fa work, should not be mistaken for some kind of an idea of absolute morality, or an abstract and impractical set of ironclad religious rules. Virtue involves the encouraging of a set of qualities, embodied as Yuan Heng Li Zhen, of the growth of those qualities as a substance within one's being. To encourage and cultivate, through actions, Union, Discipline, Harmony, and Truth. So how do you work these things? b) by working on a disciplined routine in your activities, including a spiritual discipline. c) by working on putting an emphasis on those parts of yourself and your life that you are weaker in, rather than hiding only in the ones you are stronger at. Also, by meditation. d) by committing yourself to honesty and sincerity, and with dealing with things in life as they are rather than running away from them. In Chinese metaphysics, born in the I Ching, there are the three powers (the "sancai"). These are "The power(Tao) of the World", the "Power of Man", and the "Power of Heaven". It is the reason why the level of the elements, the Trigrams (which are the building blocks of all reality) are expressed as three-line symbols. In each trigram, the lower line can be understood as representing the power of the World, the middle line represents the power of Man, and the upper line represents the power of Heaven. So the world is outside, that which is below, the common, the natural, people and things, society, the law, the default way of things, that which manifests in a concrete manner, etc. The power of Heaven is beyond, that which is above, that which is uncommon, the supra-natural, the extraordinary, that which manifests in the abstract, unconcerned with the affairs of society, unbound by law. The power of the Human is the link; it's what between the two, it is what is within, it can touch in either direction, it connects the Heavenly with the Worldly, it is Consciousness, it is the freedom to choose. The human being is the BRIDGE between the World (nature) and Heaven (the spiritual realm). Of all the creatures in creation, only humans are capable of making that connection between what is below and what is above, and uniting the two. Animals can be powerful, spirits can be powerful, but only human beings can become the Sage, united to the Taiji (the "all", the 'ridge-pole' that unites all things). It should be noted that this cosmology does not suggest that the Sage is one who leaves behind the animal, or the human, to go up somewhere else and "ascend" into heaven. The Sage, the Enlightened one, is not the Sage because he has left humanity behind. He is the Sage because he has fulfilled that role as the "bridge". The I Ching guidance to the Superior Individual is a guidance to how to form that 'bridge' in any given circumstance; how to act in such a way, at any time and situation, so as to unite the 'big picture' to the 'little picture'. where no tension was felt. "Brand new students may feel, sometime in the first week or two of daily Qi Gong practice, some physical symptoms that are not unlike having a mild cold; this is also normal and happens to at least a third of all new students. The ancient teachers suggested that this was due to the expulsion of stagnant Qi (or later, once Buddhism had become popular in China, the expulsion of "bad karma"); however it may also bepossible that these symptoms are in fact due to the way Qi Gong stimulates the lymphatic system into more effective detoxification. On the other hand, at least a third of the students may find that, in the days after initial Qi Gong practice, they start to feel more easily annoyed or irritated by everyday things in their life and environment. This is likely caused by the initial increase in sensitivity and perception that properly practiced Qi Gong generates. Students should be advised not to worry too much about it, to try to avoid outbursts or reactions caused by such irritation, and that once they get used to their higher level of perception, these sensations will pass. One very common physical side effect of Qi Gong practice is most curious: practitioners will experience an increase of "bubbles" in their urine. The ancient teaching suggested that these are due to "excess Qi", not yet able to be contained in the new student as they are still in the process of activating the First Furnace. It may also be likely, however, that this is a side effect of increased oxygenation produced by improved breathing when practicing Qi Breathing. In either case, this curious side effect is completely harmless. Finally many students, after the first two or three weeks of practice, report that they are getting less sleep than they used to; and for some this can seem quite distressing. However, the student should consider whether their reduced hours of sleep actually translate into a sensation of being tired when they wake up. They will likely find that even if they have slept one to three hours less than they were previously used to, they wake up feeling no more tired than they would normally. This is because the physical effects of Qi Gong, and the increased life energy generated by the proper circulation of Qi in the body, makes less sleep necessary to get the same amount of physical regeneration. So if a student is sleeping less but is not feeling exhausted from it, they should realize that this is not a serious problem at all, but rather an advantage of practice! At the same time, the instructor should warn students away from intentionally getting less sleep; if their body naturally sleeps less, that is different than if they are trying to use Qi Gong as a way to "burn the midnight oil", which is not as such advised." If you are interested in Yi Fa Qi Gong, you could start on it by checking out the Yi Fa Society Playlist on Youtube. If you are interested in joining the Yi Fa Society and working on its curriculum, please feel free to contact me! What is a Divination System? There's a difference between a common fortune telling device and a divination system. To elaborate, let's say you put together a bunch of random words on cards, or you made up a system of interpreting google searches, or some other system where the input was completely random, so the meaning could be entirely and totally whatever meaning the 'reader' chose to gave it. That is not the same as the I Ching (or other systems of divination, like Tarot or Runes, etc.). In a system of divination what you have are symbols and messages that are NOT random, but also do not have a single meaning. They have multiple layers of meaning, which you must then interpret and determine how to apply it to your question. Systems of divination are based on some kind of Cosmology (a map of the universe, and/or of space and time). So, how much you know about the context of the system (its structure and mechanics) and the meaning and principles behind the symbols or messages being used will help determine how accurately you apply it. There ARE 'multiple meanings', but meaning is not random, and thus things like how the system is presented/taught, how deeply you have studied it, and how good your sense of general awareness are will affect the usability of the system for divination. The I Ching's usability for divination wouldn't really matter to people who are ONLY interested in it out of academic curiosity or otherwise have no intention of using it. But to everyone else, and especially to those using it within a system of spiritual practice, this issue does matter. If it didn't matter, then we could all save a lot of time by just doing fortune-telling with bottlecaps or baseball cards. The process of spiritual learning requires something more than the standard method by which we are taught to learn. The Sufis have said that in spiritual training, first "you must learn how to learn". This is because we are used to processing knowledge by simply attempting to absorb knowledge as abstract fact. For most forms of learning, this is adequate: we can memorize facts, learn formulas for things from mathematics to kitchen recipes, intellectually analyze stories and songs and art. But for spiritual learning it is not enough to simply 'know' something in that intellectual sense. We have to integrate spiritual knowledge as Truth, and this can only be done when we unite to that knowledge in our own consciousness. If you simply study a spiritual system, like the I Ching, through intellectual analysis, this learning will continue to remain superficial, second-hand. But the power of symbols is that they do not operate solely on the level of intellect, but also on the level of consciousness. Any given set of spiritual symbols, like those of the I Ching, can certainly be studied and comprehended through the level of the intellect; but to actually use them in cultivation practice (and not just theoretical study), the symbol itself must be integrated into the individual's consciousness. Unity between object and subject must be achieved, through the vehicle of Symbol. The standard process of study separates subject from object; in fact, standard academia tends to venerate the quality of 'objectivity' in some forms of study, of keeping a certain amount of clinical distance from the topic of study. 1. The object (of study) exists outside of the subject (the self). 2. On being examined experientially, the object has an effect on the subject. 3. The Symbol (that is, the concept/image/essence) of the object, is made present IN the subject's consciousness. To "Learn", therefore, the student must repeat steps 1-3 over and over again. This is an understanding by immersion, rather than deduction. Every time the process is repeated the integration has an effect on the student, as the symbol becomes more true in the consciousness of the student, and thus it not only becomes more understood, but also changes the student in the process. Rather than separate subject and object, you must bring them together to attain understanding. The ability to integrate symbol also depends on your level of attainment. As you proceed in meditation practice, in spiritual discipline, the development of Virtue, and also grow in knowledge and maturity through life experiences, you change as an Individual, and this allows you to change the extent to which you integrate symbol and the levels to which you can integrate (comprehend and be changed by) symbols. This is why spiritual teachings (including 'sacred' texts like the I Ching, as well as many others) can be read over and over again across different points in one's life, and seem very different from one reading to another, particularly if in the intervening period between one reading and the next you have grown through cultivation. Now, this video is not part of the Yi Fa Curriculum. But the subject of 'ritual' is very significant to the Yi Fa work. As the video points out, ritual is not meant to be something done automatically, or even as such for some kind of ulterior motive: it is its own reward. This brings to mind the question of 'what is ritual'? We tend to think of ritual in terms of being some kind of ceremony meant for religious or magical purposes. But in Chinese thought, ritual or "rites" (which is called "li") means not only religious ceremony, but also it encompasses all the notions of 'proper conduct'. It can be understood as including customs, manners, etiquette, 'proper form', etc. We could call it "rules of art". It is tied to the Virtue of harmony; both in the sense of good harmony within our own being (balance), but also harmony with our world, our fellow human beings, and society. Another of the Confucian Classics, aside from the I Ching, is the "Book of Rites". If you look at that book, you will find that it is not some book of magical rituals, but rather a wide-ranging guide to all kinds of standards of etiquette and ancient customs (from the Zhou dynasty, the dynasty that wrote the I Ching). In relation to Qi Gong, the practice of the forms of Qi Gong (including Yi Fa Qi Gong) are certainly a type of ritual. It is important to further clarify what this means in the context of Qi. There are many people talking about the "Qi Gong" of other activities: how painting can be Qi Gong, or writing, or dancing, or all sorts of other things (even "Qi Gong Golf" or "Qi Gong Cooking"). In some cases, this is interpreted in some kind of very esoteric way, like as if you are doing some very special mystical technique. But this was not really the purpose of this concept, it is actually just the opposite. Let's further define an intentional act, and a ritual act. In western esoteric magic, we are told that "any intentional act is a magical act", and that magick is "the art or science of causing change to occur in conformity to the Will". We can thus surmise that any intentional act is an act where you are directing your will. So what marks the difference between an 'intentional' act and a 'ritual' act is that a ritual act is to direct the will within a certain form. Any practice that has a technique is not only an intentional act, but a ritual act. This is how to understand 'rites' in the context of Qi Gong. What this means is that if you get up in the morning and brush your teeth, and the practice of brushing your teeth is done in a certain way (you stand in front of the sink, you fill a glass, you lift the glass to your lips and slosh some water in your mouth, then spit it out into the sink; you grab your toothbrush, open the toothpaste, put a bead of toothpaste on the toothbrush, put the toothbrush in your mouth and scrub in a certain fashion going from one part of your teeth to another, then rinse your mouth again, wash off the toothbrush, etc.) then you can say that you have a "technique" of brushing your teeth. But this is not a ritual, unless you are also doing it as an intentional act. 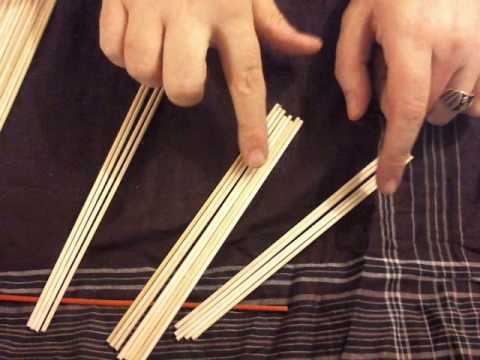 As soon as you are doing this exact same technique, just as you always did it before but now as an intentional act, it becomes the Ritual of Brushing Teeth. It is the same with countless other things you do in your ordinary life. You have techniques for all sorts of ordinary things in your life. Often, these are done mechanically, specifically as a way to avoid paying attention while you are doing it; you can be on 'automatic' because of how familiar you are with these techniques. In Qi Gong, Qi is a measurement of the direction of your Will. It is treated as a substance, and thus we understand Will not as some invisible thing or only a mental effect but as a part of our material existence. When we do anything as an Intentional act, we are directing Qi. So if we are doing some technique in a mechanical way, we are not directing Qi into these activities. But as soon as we do that technique in an intentional way, we are directing Qi into them: a mechanical activity becomes a Ritual activity. This directing of Qi does not really require any special effort on our part aside from intention; just like in Yi Fa Qi Gong you do not need to do anything mentally to 'move' the Qi, it naturally happens just by performing the practices with intention. If we are trying to brush our teeth, or paint, or play golf, or prepare breakfast or any other thing, through some technique, whether it is ordinary or somehow fancy or ceremonious or unusual, it is NOT Qi Gong, if it is mechanical. But it can be said to be "Tooth-brushing Qi Gong" or "Painting Qi Gong" or "Golfing Qi Gong" or "Cooking Qi Gong" if we are doing it with a technique and form AND we are also doing it intentionally! This is why I say people often understand it the opposite way of how it is intended: it is not about reciting some kind of mantra or visualizing something or doing some unusual movements or mentally directing something, while you are doing these ordinary things. It is about doing these ordinary things with order and structure, with harmony and balance, and with the Active Consciousness, with intent. The point is not to try to mystify ordinary activities, but to understand that that all sorts of ordinary things can be mystical, can be part of cultivation, simply by doing them consciously. And we have to conclude, by this same reasoning, that it is not that Qi Gong is something separate from the ordinary, but very much part of the ordinary. Our ordinary life does not need to be integrated into our cultivation practice; rather, our cultivation practice needs to be integrated into our everyday lives! We do not need to separate ourselves from ordinary existence to find the magical, we have to unite our Will to the ordinary. There, in the Manifested, is where the Great Work is to be found. The Relationship Between "Spritual" and "Reality"
There is a great spiritual difference between spiritual teachings and religions that place the unmanifested above the manifested, and those that do not. Just as there are materialistic philosophies which deny anything 'spiritual', there are also anti-materialist belief systems that deny the material in favor of something they choose to imagine as 'spiritual', separate from the material. In ancient China, all three concepts existed. There were strictly materialist philosophies that denied anything but the manifest, the "Yi-fa". There were likewise many movements that wanted to envision the universe as a universe of immaterial 'spirit' and that the manifested world was either an illusion or a corruption, something inferior to the pure and unsullied 'spiritual world'. But if you study the I Ching and the teachings of the great Sages, it becomes evident that neither of these are a correct reflection of reality. This same conflict existed in many other places and times, with other names; certain "gnostic" sects in the west claimed that our world was nothing but an illusion. The institutional forms of Buddhism made similar claims, many of them ascribing a higher position to some 'spiritual' world that the Buddha himself denied. 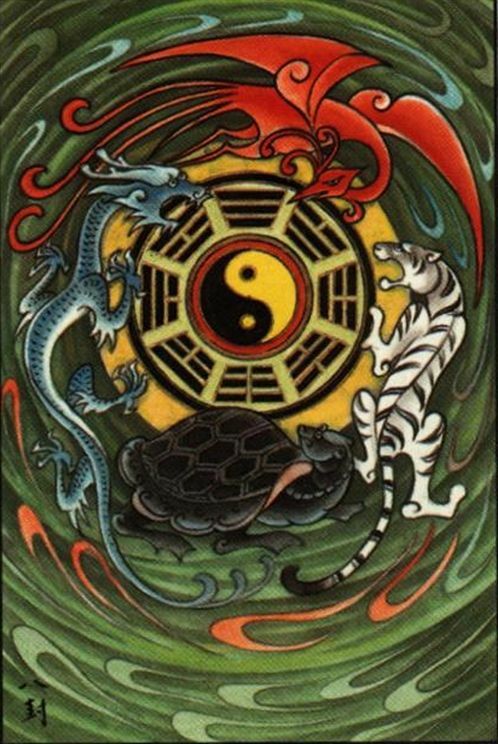 In The Magician's I Ching, I have detailed the story of the debate between Zhang Shi and Zhu Xi, and Zhu Xi's quest to achieve enlightenment as to the true nature of reality, and how to reconcile the difference between the unmanifested (Wei Fa) and the manifested (Yi Fa). It is unsurprising that after coming to realization, Zhu Xi would strongly advocate the study and practice of the I Ching, because within it, it uncovers the truth of this relationship. Some would-be mystics want to conceive of the nature of reality as a kind of top-down hierarchy where the lowest and least important level of reality is the manifested world. But consider the I Ching: a hexagram contains, within it, the trigrams. Trigrams contain, within them, the Yin and the Yang. Within Yin and Yang are found the Taiji (the undivided polarity). Within the Taiji is the the Wuji (the boundless), and within that boundlessness is Wu (emptiness). Without trying to confuse scientific concepts with mystical ones, this can't help but bring to mind the nature of physical reality as we understand it today: how within objects there are molecules, those are composed of atoms, atoms are composed of protons and electrons, within those there are quantum particles, and inside all of this is empty space. Reality is not top-down, it is a whole, and that whole has layers, more fundamental and basic layers, and more complex outer layers. This is the functioning of reality, and it is essential to understand if you are going to practice a real system of cultivation (because any spiritual practice not based on reality will not get you very far)! The Manifested (Yi Fa) and the Unmanifested (Wei Fa) must of necessity both exist, they are both real, but the only place where the unmanifested can possibly exist is within the Manifested. Wei Fa is not 'outside' or 'beyond' Yi Fa, it is only real within Yi Fa. This is important to spiritual practice, because it means that Wei Fa, for the practitioner, can only be reached through the Yi Fa. You can't reject the body, reject the world, reject reality, and go off into some spiritual wonderland that is somehow beyond all that, because there is nothing to connect to there. You cannot find the Unity of all things by rejecting any thing. You have no tools to connect to the truly 'spiritual' if you ignore your body, your mind, your world, and your interactions with the world. This place, this world, our bodies, our awareness, all the things that exist in the manifested reality are the alchemical laboratory of our self-transformation. Without them, you can go nowhere. The Magician's I Ching Facebook Group now has Over 1800 Members! The Facebook group created in honor of The Magician's I Ching, but which is a general discussion group for all I Ching related subjects, has now reached just over 1800 members! Why does Yin turn into Yang, and Yang turn into Yin? Yang is forceful and powerful but inevitably exhausts itself. Yin is passive and accepting and through accepting gradually builds itself up. Yang is a "strong" power, but this means that it is more unstable. It is easier for it to change into Yin. Yin is a "weak" power, but this means that it is very stable, it takes a lot for it to change to Yang. This is also why it is easier in our reality for something strong to become weak than for something weak to become strong (the law of entropy). Hence, Yin only becomes Yang when it is so totally 'full' of Yin that it cannot help but actually transform. And when Yang becomes 'too Yang', it will sooner or later break down into Yin. 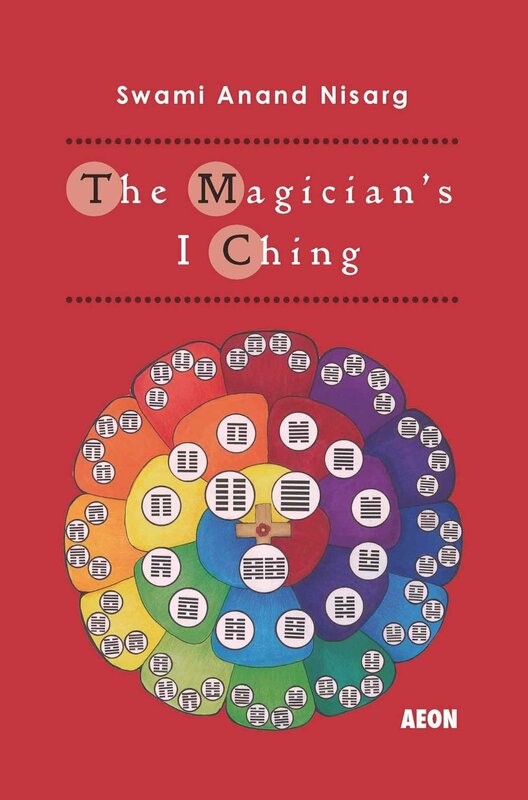 The Magician's I Ching Facebook Group now has Over 1500 Members! The Facebook group created in honor of The Magician's I Ching, but which is a general discussion group for all I Ching related subjects, has now reached just over 1500 members! The I Ching is vast and powerful. In terms of Space, it has no limit of distance. In terms of the moment, it is precise in its measure of Time. In terms of all phenomena within the boundaries of heaven and earth (within the Taiji), it encompasses all. A new video, talking about the new-age fallacy about how we can 'create our own reality', and the general attitude of false spirituality we see in many different places in the modern western spiritual world. If you are interested in the Yi Fa Society, please feel free to contact me about applying for membership. It is as if I am listening to the numinous turtle itself. One by one, you clarify for me. A cool breeze rhymes harmoniously with the clear source. Spirits resonating in silence, with no display of words. Evening thoughts pour out the troubles of the morning. And the tethered horse neighs at the departing carriage. Who truly understand each other. -From Tang Dynasty poet Meng Jiao, entitled "To the Hermit Yin, my Teacher of the I Ching, on the eve of his return to seclusion". There are so many ways to approach the I Ching. A key Virtue of the practice of I Ching studies is Harmony. Part of what this means is balancing out one's natural tendencies in how to approach I Ching study. Those who are looking at the I Ching through study of the text may benefit from considering the I Ching through number. Those looking at it through number might benefit by considering the I Ching through the imagery. Those inclined to consider the imagery of the I Ching might benefit from considering the I Ching through its stories. Gradually, you can consider all of these directions. It is important to recognize those directions you are already inclined to favor in your study, and balance this out by looking at it through those directions you are less inclined to consider. The following is an excerpt from the Level 3 Yi Fa Society book, "The Great Book of Yi Fa". Practicing Qi Gong can provide various health effects. First, and centrally, it improves the connection to one's own body. This strengthens one's general physical well-being, and can improve the immune system, physical awareness, attentiveness, and strength. The movements and breathing improves circulation, the stance improves posture which is helpful for a variety of problems (including digestion, back pain, etc.). The exercises stimulate the lymphatic system which helps with one's overall energy level and vitality. The practice overall contributes to relaxation and reduces stress, which helps prevent all kinds of ailments. But it should also be noted that Qi Gong is not exercise. It has elements of physical activity, but it is not the same as the western approach to exercise. It is also not in any way a substitute for proper physical care, or western medical care. Keeping this in mind, when you are teaching Qi Gong to others, it is important not to overplay the elements of Qi Gong as being for 'health' or 'exercise'. Most ordinary people who have heard of Qi Gong already think this is the main purpose of Qi Gong practice; it can be an easier 'sell' for people than talking about Cultivation. But Cultivation is the central goal of serious Qi Gong practice. While it is perfectly fine for an ordinary person to want to make use of the health and stress-relief benefits of Qi Gong, you should strive to make it clear that the more important part of Qi Gong is its use as part of a whole spiritual practice of Cultivation for the purpose of self-transformation. Even in the context of talking about health, you should make it clear to any students that Qi Gong cannot do much for your health if you are not approaching it from the perspective of transforming yourself, of changing your habits, your virtue, and your perspective of your 'self'. If you are interested in joining the Yi Fa Society, please get in touch with me here, on Facebook, or Google! The working tools of an I Ching practitioner are the yarrow or staves, the paper, the pen or stylus and ink, and the book itself. 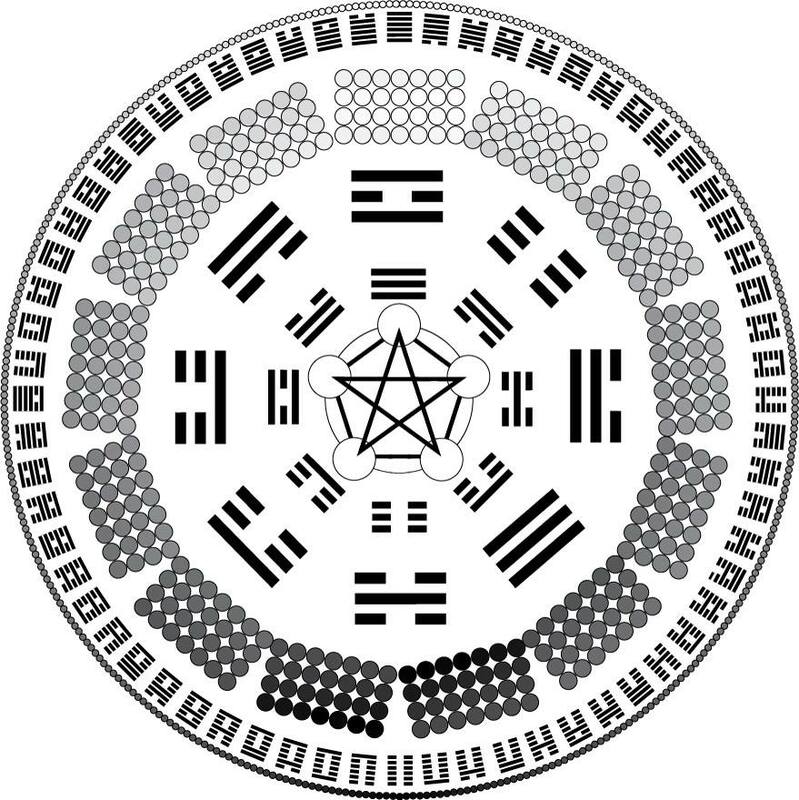 The yarrow or staves are used to cast the oracle, paper is used to record the oracle on, the pen to draw the lines of yin and yang, and the book is used to study and analyze the hexagram and consider its implications. However, in the Yi Fa Society we are not just fortune-tellers but cultivators, so we apply these tools to the development of enlightenment. In that sense, the staves or yarrow stalks represent Time and the nature of Change. The paper represents the vast potential of Space. The pen represents the noting of confluence of these forces, manifesting in the specific measurement of Change in this one point in space-time. And the book represents the wisdom of the Sage in comprehending the significance of this measurement, in order to know how to manifest the Superior Individual in any point in time and space, in any circumstance of change. The Yi Fa and "Belief"
The following is an excerpt from the Level 2 document of the Yi Fa Society, called "the Universal Yi Fa". Yi Fa Qi Gong is not a belief system. You could also say, perhaps even more accurately, that it is not a “belief-based system”. Belief is largely a process of convincing one's self of something that one actually has no true understanding. No 'belief' is required in Yi Fa Qi Gong. However, it is also important to to avoid what could be termed “anti-belief”; just as one's preconceived notions should not lead to some kind of blind faith in things one has not experienced, notions also should not be allowed to shut down or dismiss things one has not experienced. In the early stages of practice, a student should approach Yi Fa Qi Gong with an open spirit of curiosity and inquiry; not accepting anything purely on faith, but not rejecting anything without testing it. Engage with the practice as though you are conducting experimentation on your own inner being. Be open to accepting results, and not trying to project pre-made results (either favorable or unfavorable) on your practice. As a student develops, they will have certain experiences that will serve to confirm certain things they may have already been told about the practice. At this point, the student can feel a greater certainty based not on blind faith but on their own experiences! They can also thus trust the practice they are engaging with; still not taking anything for granted or following anything blindly, but practicing with a confidence in the practice itself based on a proven track record of certain confirmed experiences. This type of Certainty (not faith) is quite important as an attitude to develop to ensure that the practice proceeds effectively. Doubt what you are told, but doubt it in a way that is open to testing, and without making assumptions for or against. And absolutely trust what you have actually experienced. Trust yourself. If you are interested in joining the Yi Fa Society, please feel free to contact me here, on Facebook or on Google+! The Facebook group created in honor of The Magician's I Ching, but which is a general discussion group for all I Ching related subjects, has now reached 1400 members! The Master Zhu Xi (1130-1200) was one of the greatest sages of Chinese history; second among the Confucians only to Confucius himself. He is considered the founder of Neo-Confucianism, and was the only Confucian who was not a personal student of Confucius himself to have been granted the status of a Confucian Immortal. He is of particular significance to the Yi Fa Society because he was the teacher who perfected the expression of the Yi Fa as a concept. 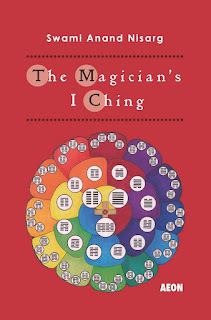 Some details of his life and his discovery of the Yi Fa are detailed in The Magician's I Ching. 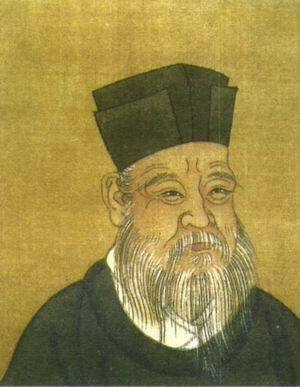 He wrote two texts on the I Ching and was one of many true Sages who tried to restore the genuine role of the I Ching in Confucian society; as had happened many times before, in Zhu Xi's time the mainstream establishment of Confucian literati did not believe in actually using the I Ching for divination, but he strongly advocated that to truly understand the I Ching it had to be worked! We can assume that Zhu Xi made frequent use of the I Ching. However, there is only occasion in history that a record remains of his use of it. This event is recorded at the time of the greatest crisis in Zhu's life and the future of his school. Near the end of his career and life, Zhu Xi was a provincial governor, and was part of the movement that attempted to clean up the rampant corruption and incompetence of the late (southern) Song Dynasty Imperial court. Naturally, those who benefited from this corruption sought to accuse him and his followers of conspiracy against the Emperor. He nevertheless pushed forward, quoting the I Ching in defending his actions, pointing out that if good men do not join together to mobilize change, bad men will triumph ("Base men use their power, if the Superior Individuals don't use theirs"). This was treading dangerous ground, as in the earlier period of the Song Dynasty (when they were based in the north) sages had attempted to reform the State to save it from its decline, and they were ignored and accused of treason. The failure to reform had led to the eventual collapse of the Song and the court was forced to flee to the south in the face of barbarian invasions. By 1195, the corrupt officials opposing Zhu Xi's faction had begun a series of purges, accusing those involved not just of treason, but of "wei xue", meaning "false (or empty) learning". They were accused, in essence, of teaching untrue and harmful ideas that were dangerous to the state. Zhu Xi's mystical practices in his school also led to these corrupt officials accusing him and 58 of his students of practicing 'sorcery'. Zhu Xi's students were very frightened for him, that he might soon be imprisoned or executed. They begged him to retire from public service to save his own life, but he would not listen to them, being determined to fight on, and not to abandon his students and allies to these false accusations. He planned instead to write a manifesto condemning the corrupt officials and their abuses in the most extreme terms. One of Zhu Xi's students, Cai Yuanding (who would eventually die in exile after being persecuted by the "false learning" purge), was one of the most dedicated practitioners of the I Ching in Zhu Xi's school. He tried one last attempt to get Zhu Xi to back down; he suggested that Zhu Xi consult the I Ching to be certain of his path. Zhu Xi agreed to this, and cast the I Ching. The result was Hexagram #33: Retreat. Its changing lines were L.1 ("he delays his retreat and is routed. Cornered - disaster! It is useless to seek any goal") and L.4 ("Even though he cares for his subordinates he must retreat!"). These lines create the resulting hexagram #37 "The Household", with the description "the family, and home". Realizing that the I Ching made it clear that his cause was lost, and that there was nothing to gain in persisting now, he destroyed his manifesto, and retired for the last time. He took on the title of "The old man who retreated". He was nevertheless stripped of all offices and died under sentence of execution. In spite of this, it was thanks to his retiring at that moment that after his death, his students were able to gradually change the balance of power and win over the Imperial Court to the wisdom of Zhu Xi. The same Emperor who had condemned Zhu Xi and forbidden his teachings would, only eight years after Zhu's death, giving him the title of "Venerable man of Culture" and in essence conceding to the Virtue of Zhu's teaching. His guidelines for education and civil service would become the standard for Chinese culture for hundreds of years to come, throughout all the rest of the Imperial period. The other common method, the "3 coin" method, is not recommended. That is because the probabilities of that method are different from those of the Yarrow Method, or from the Four Staves method (which uses the same probabilities as the Yarrow, but with a simpler faster process). Some advocates of the '3 coin' method actually suggest that the probabilities in this method are 'more balanced', because there is an equal chance of getting a stable Yin or Yang, or a changing Yin or Yang, whereas in the Yarrow Method (or Four Staves) there's a 1/16 chance of getting a Yin changing to Yang, a 3/16 chance of a Yang changing to Yin, a 5/16 chance of a stable Yang, and a 7/16 chance of getting a stable Yin. However, these probabilities mean that not only is the Yarrow method in fact balanced, it also better reflects the nature of Change in the Universe. It is a more accurate method. In the Yarrow method, you have a 50/50 chance of either a solid (Yang) or a broken (Yin) line. What changes, however, is that it is more likely that the solid line will be a changing line, and more likely that the broken line will be stable. Yin is the "weak" or "soft" force. Yang the "hard" or "strong" force. Now, it is more likely for something soft or weak to be STABLE. It is more likely for something strong or hard to be unstable. That which is strong is likely to weaken. That which is soft is likely to endure. It is more common in Time and Space for things that are strong to become things that are weak, and less likely for things that are weak to become strong. That is the nature of entropy. All of this put together creates the perfect balance of the fully accurate perspective on the nature of the probabilities of change. On a final note: this is not to say that the 3 coin method, or indeed other methods, are completely 'wrong' or not usable. The I Ching is a system of measurement (to measure Change according to Space and Time). You can measure something with a meter stick, or a measuring tape, or a GPS-assisted program. What varies is the overall degree of accuracy of the measurement.